During the Lenten break, I had a little trip to Negros for a series of adventure in several parts of the island. But the main reason for my travel though, was to visit Apo Island. I had plenty of slack time during the first day which gave me enough time to wander around Dumaguete City alone. 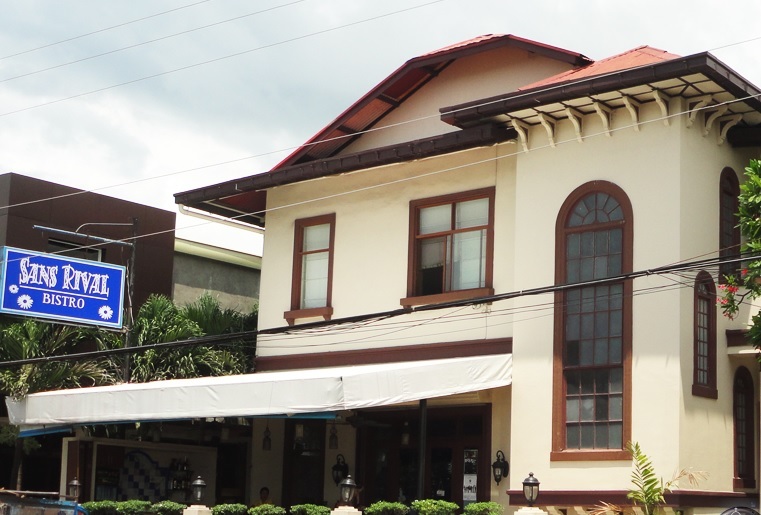 What I really like about the city of Dumaguete is that it is very easy to navigate, you won’t find it hard to search for the places you like to visit and the famous establishments are very near to each other that you can just walk your way from one place to another. 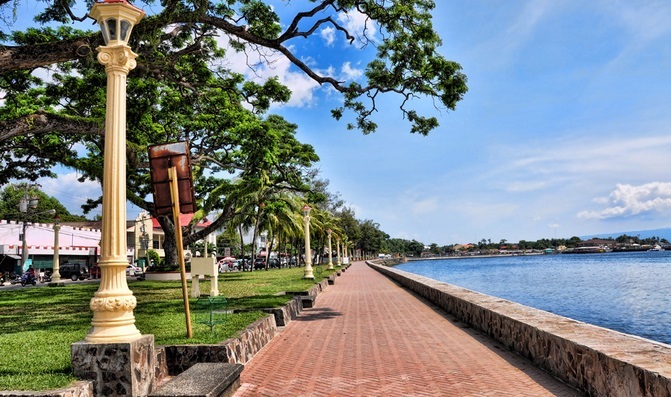 Another plus factor for me are the people in Dumaguete, they are very accommodating and very friendly, they always give you their warm smile as you walk pass them or even when you ask for directions. My friends and I were staying at the C & L Bay View Inn, about 3 minutes walk from the boulevard. it was half past noon when I arrived in the hotel, my friends we’re already there as they travelled ahead of me. I’m not really that kind of person who stays at one place for a longer time specially when I’m in an unfamilir place. I always have that urge to go out, wander around, discover what that place can offer. And So I did just that, together with my friends we headed out to grab some lunch to that cafe called ” 2 Storey Kitchen”, it took us about 15 minutes to find the place as it was situated 3 blocks away from the hotel. It was a korean themed owned by a well, korean. The food was great, their Cheesy Mushroom & Bacon burger is a must have. After our lunch my friends decided to have a massage at a nearby Japanese Massage salon and so I decided to have my own experience. 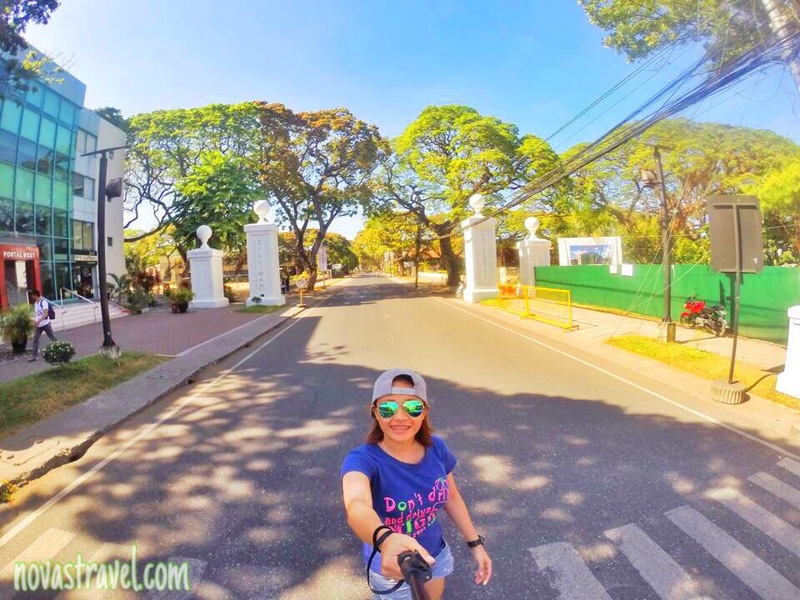 With a cap on my head, sunglasses on my eyes and gopro in my hand – I started going solo in Dumaguete City. First stop – the famous Siliman University. as I walked my way on the streets of Siliman university, I can’t help but be amaze of the fact I am there alone, wandering the streets of the first american university in the country, or should I mention the entire continent. It was a great feeling, The air that surrounds the entire university feels so fresh as I was surrounded by huge acacia trees (kinda creepy actually), but my appreciation to the place is far more intense than the creepy feeling I felt. While walking in the streets of Siliman University, can’t ask somebody to take a photo of me. Selfie time. 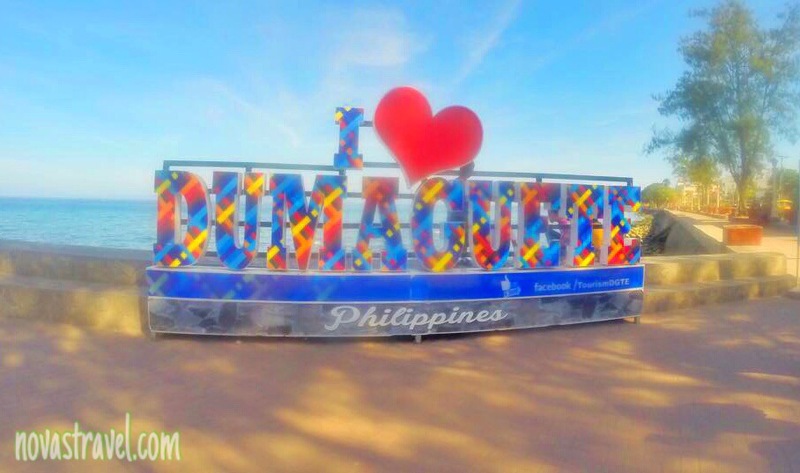 Typical me, taking a selfie at the “I heart Dumaguete” signage. Right after my short stop at the Dumaguete sign, I then on proceeded to the boulevard. I enjoyed the long walk in the pavement, I felt so calm. I felt refreshed while watching the waves as it touches the breakwater. I didn’t stay long though as it was very hot, it was a sunny Thursday! After exploring the boulevard and buying souvenir stuff at the sidewalk, I decided to cross the highway and went straight to Sans Rival Bistro – it’s a famous restaurant along Rizal boulevard facing the ocean. You wouldn’t want to miss this place if you happen to visit Dumaguete, it’s a must that you drop-by at this place. Plus they serve delicious dessert, you’ll never get enough of. After some time I went back to the hotel, I was kinda tired to, I need some rest. Later that day, me and my friends went back to the boulevard and eat street food there, It was kinda amazing there during the night. 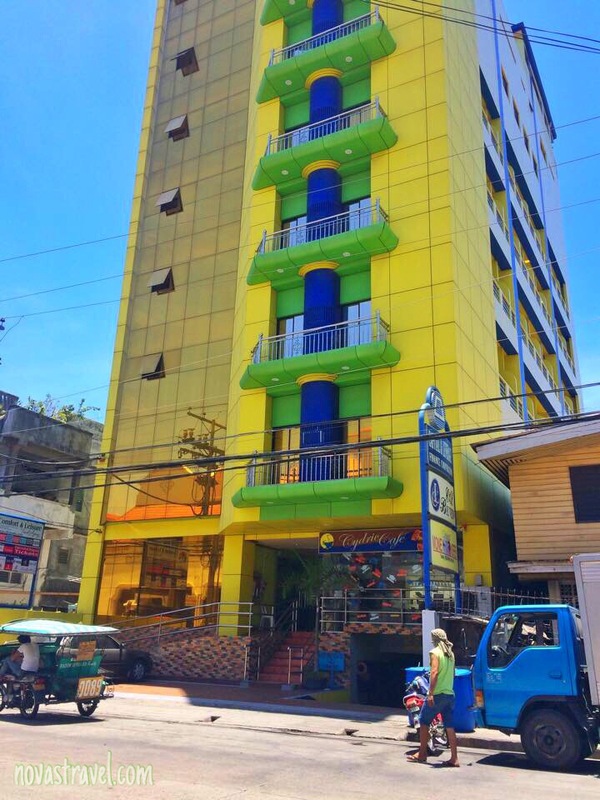 C & L Bay Niew Suites, where we stayed for our entire stay in Dumaguete City. a fiveminutes walk from the boulevard. you can check-out there FB page for details. Fast craft to Sibulan Port via Santander Express I. Just a 45 minutes rides depending on the waves. A quick selfie shot while strolling along the streets of Siliman University. At the end of my day trip, I realized sometimes it’s good to just go solo once in a while. To just go where your gut leads you, without consulting anybody, without worrying where to go next. It felt so good, I’d love to do it again.